3for5 Blog: Never Too Young to Make a Difference! Never Too Young to Make a Difference! In the spirit of this upcoming Thanksgiving, we’d like to highlight an inspirational story about a 10 year old girl in Colorado Springs who wants to make a difference in the lives of people in Africa and the Philippines. 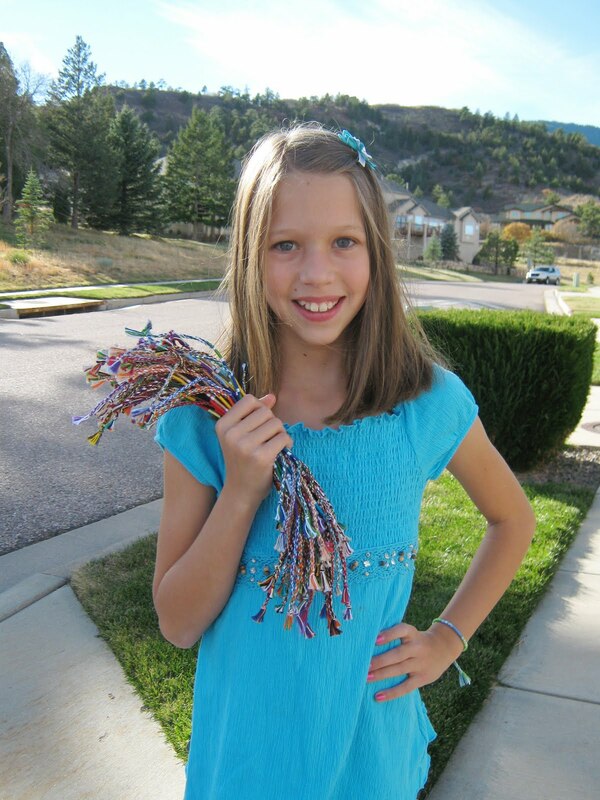 Last month, Emma, driven by compassion and a desire to help, sold bracelets provided by 3for5 (made by Threads of Hope) as a fundraiser in her neighborhood and her school. And making a difference is what Emma is doing! So far, she has raised more than $105, an investment that will provide a lifetime of safe water for 2 people in Africa and going on a whole month of good, honest income to feed, clothe and educate a Filipino family who handmade the bracelets. Thank you, Emma, for your heart and efforts to help people get clean water and provide for their families. You are an inspiration to us all! P.S. If anyone is interested in raising money for clean water through selling Threads of Hope bracelets, like Emma is doing, please contact us at 3for5.org.